Residential Life Officer Lucy Atkinson welcomes everyone back from the festive period to life in halls. #LivingYourBestResLife is getting back into the swing of things, welcoming both 2019 and our new residents in with the only way we know how…more free events! We kicked off the new term with a cooking and cleaning tutorial as well as a free movie night with free popcorn and soft drinks. The turnout to watch Blindspotting was great! We are loving how involved all our amazing students are getting with all things Residential. But…it doesn’t stop here! Oh no! Residential are only just getting started. 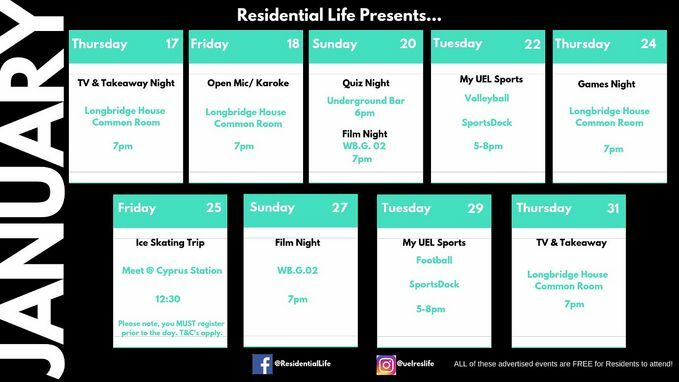 Check out our Residential Life January Events Calendar so you know exactly where you should be…and don’t forget (just in case you haven’t figured it out yet), here at Residential we love offering everything for free! Do you enjoy living on campus and getting involved in campus life? Do you have great ideas to make 'the student experience' that little bit better? Then you may just like to know that Residential Life have launched a new volunteer program - a stepping stone to potentially becoming a Residential Life Scholar. Take a look at our intranet page for all the details and how to apply. 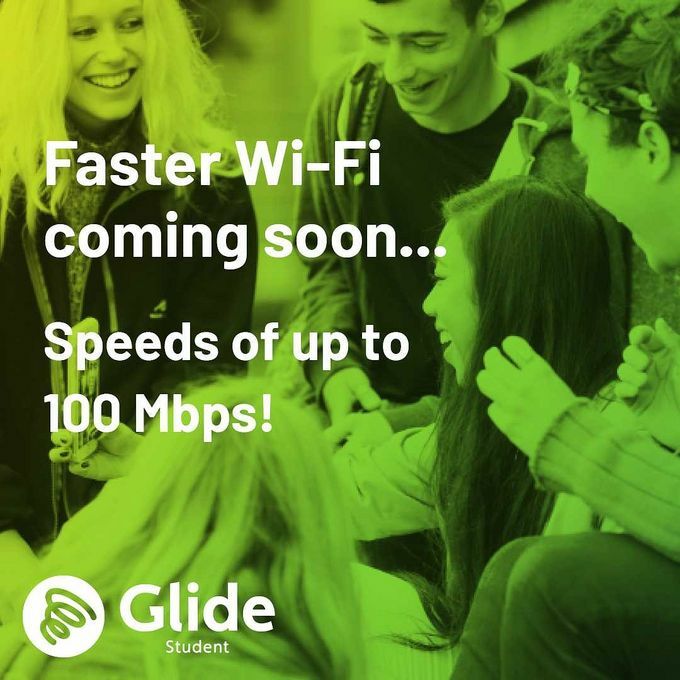 We have also been working hard with your internet providers ‘Glide’ to up your internet speed from 35Mbps to 100Mbps! However, this is a work in progress so please bear with us whilst the upgrades are happening, because it will all be worth it. Well, thanks for reading. We will be back next week with more reviews, news and going’s on from Residential Life. Until then, don’t forget to follow up on Social Media.